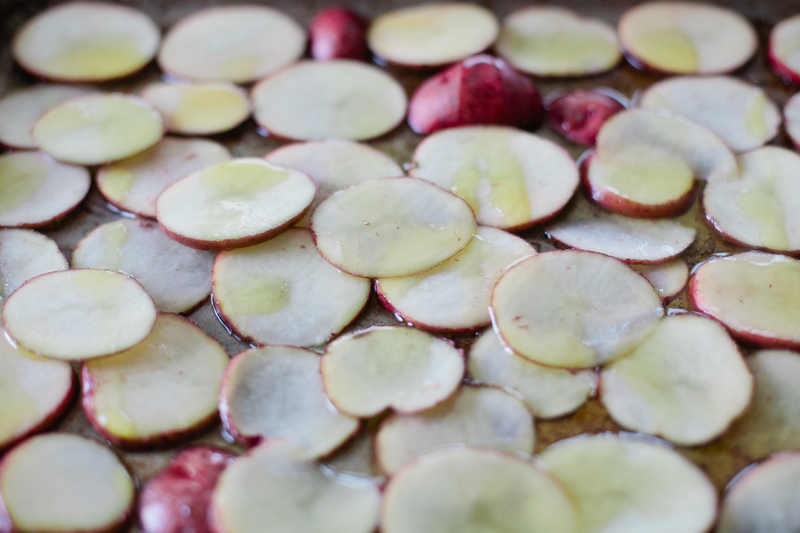 This homemade potato chip recipe is a family favorite around these parts. 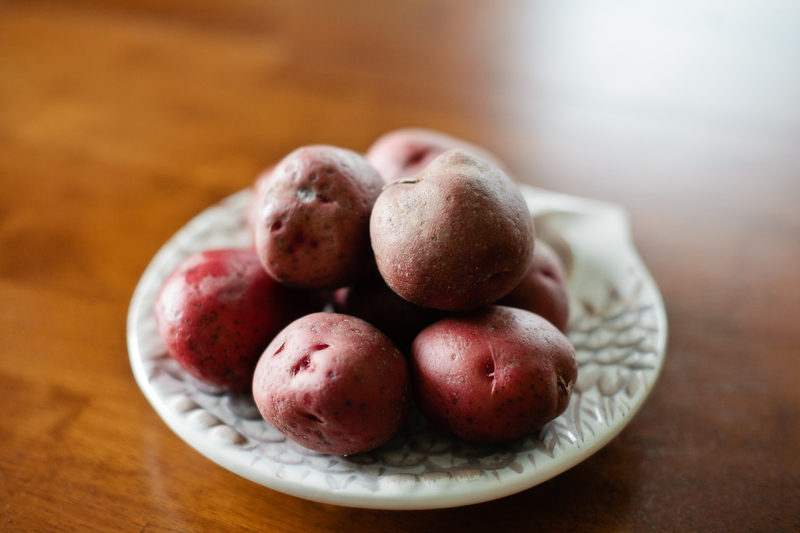 I use red potatoes because I prefer the taste and they are a little healthier. They are fast and easy to make (which is a dream for any mother and wife). Here is a step by step recipe, wish photos, of how to make these scrumptious side snacks! Step 1: Start of by washing 7-10 organic red potatoes and preheating the over to 375°. This will serve 4-5 people. If you would like to serve more, then add in some more potatoes! 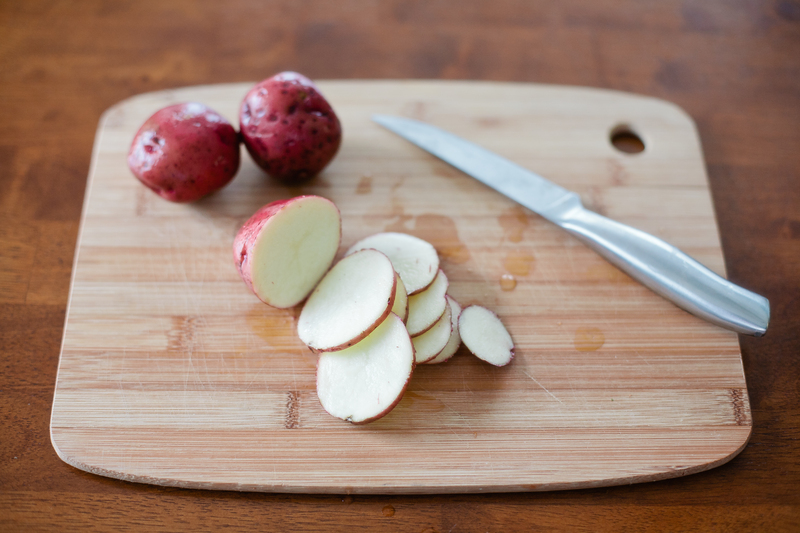 Step 2: Slice your potatoes into slivers (as shown). Don’t get them too thin, or they will burn very quickly! Step 3: Spray two baking sheets with your choice of olive oil or veggie oil. 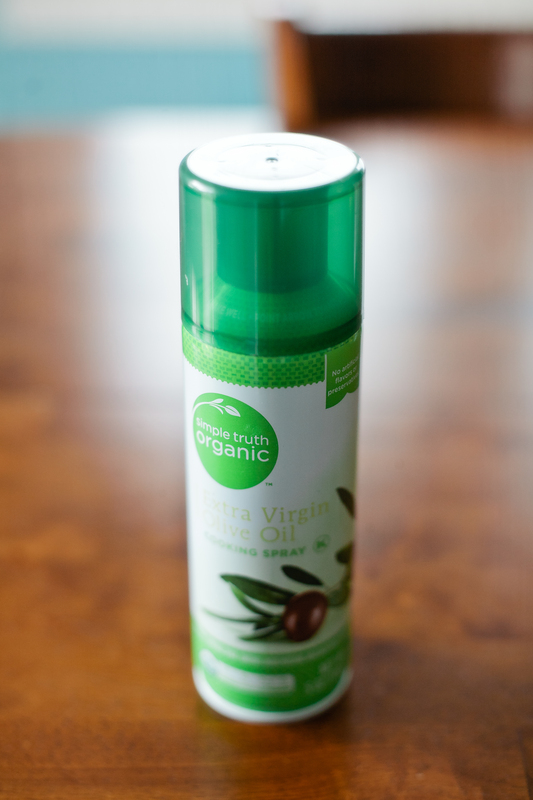 I love Simple Truth organic olive oil spray by Kroger! 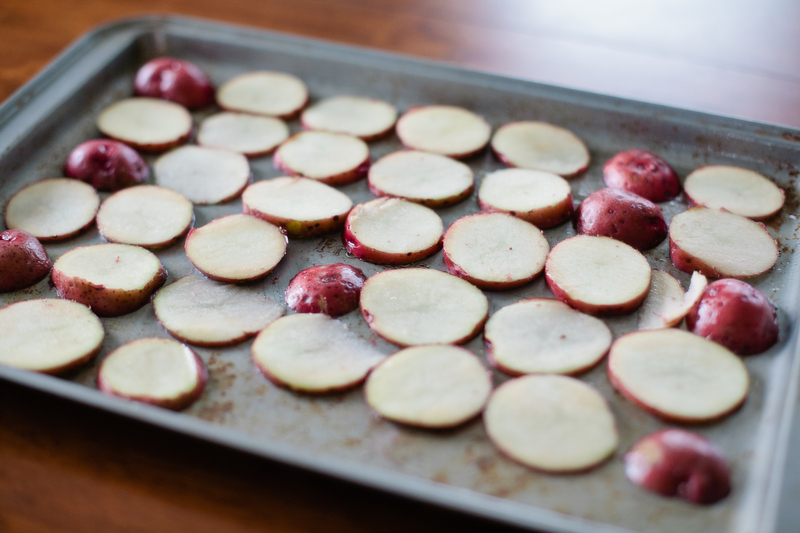 Step 4: Lay your potato slices in rows on your baking sheets. They can overlap if you need more room. 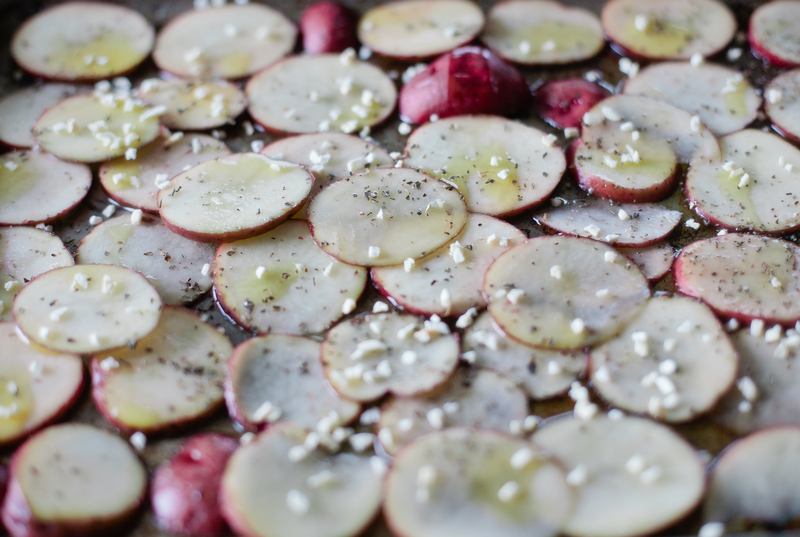 Step 5: Drizzle olive oil over potatoes. I always just do this to taste–no measurements needed! Step 6: Add your dried minced garlic and basil to your potatoes. Again, if you want to add more for taste, then go for it! Step 7: Place in the over for 10-15 minutes (depending on how crispy you want them) at 375°. Step 8: Flip your potatoes to the other side (no, they won’t look as pretty now, but they will taste great) and bake for another 5-10 minutes. 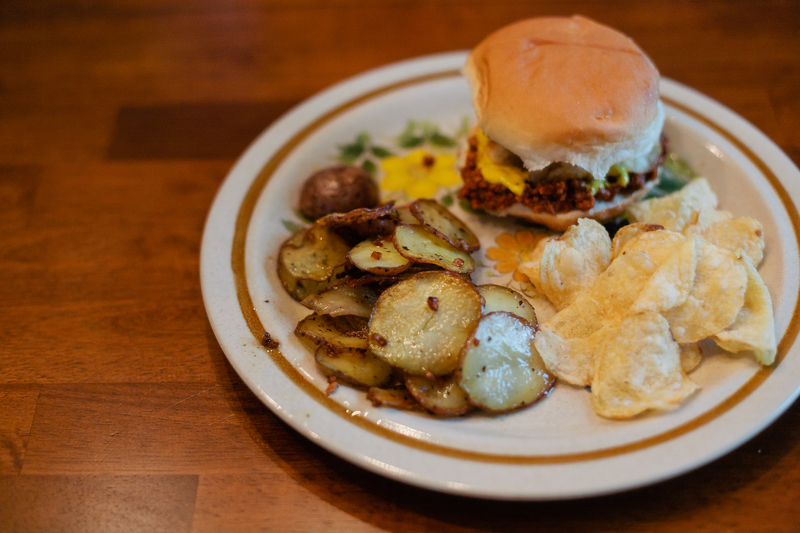 Step 9: Let your potatoes cool and serve with a yummy sandwich (our favorite is sloppy joe)! Helpful hint: The potatoes also taste great with any sort of dressing and it’s easier to get the kids to eat them this way (we always use ranch). Now go eat these yummy snacks and make your husband do those dishes! 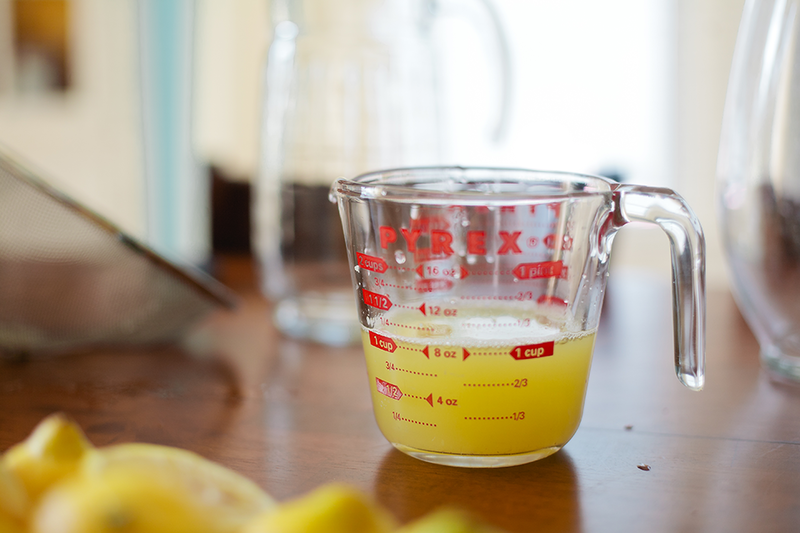 This organic lemonade is one of my favorite things to make on a hot summer’s day! The recipe is so easy and the kids love to get in on the action. Here is a step-by-step recipe, including photos, of how to make this yummy drink. 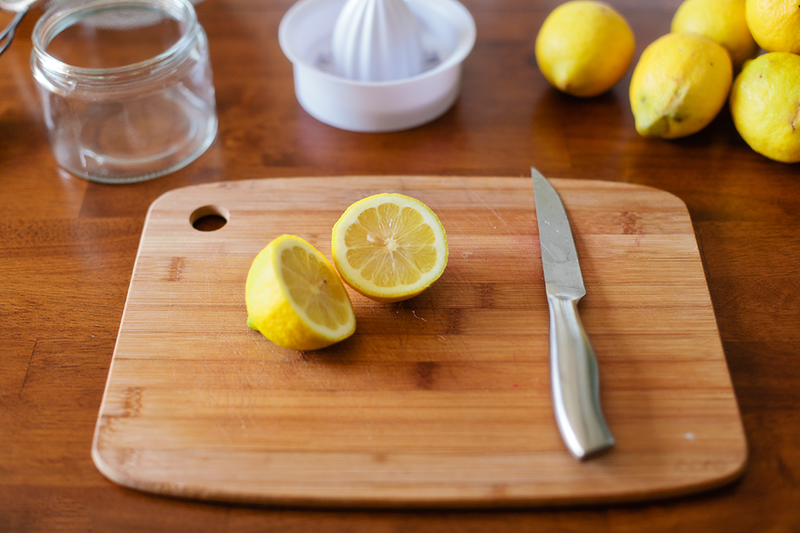 Step 1: Slice 6 of your organic lemons into halves. Prepare your juicer. Step 2: In a small pan, use medium heat to boil 1 Cup of organic sugar and 1 Cup of water together. 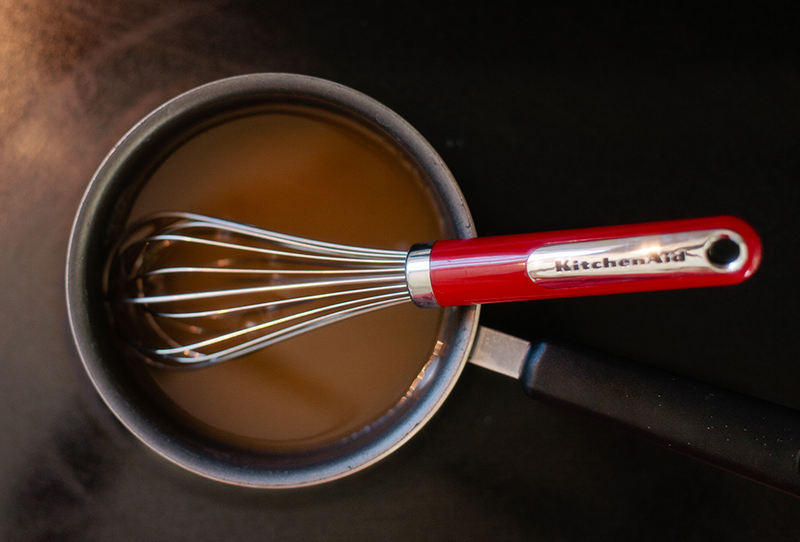 Boil about 4-6 minutes until sugar is completely dissolved. Helpful hint: Instead of making this yourself, some people like to use organic agave nectar. 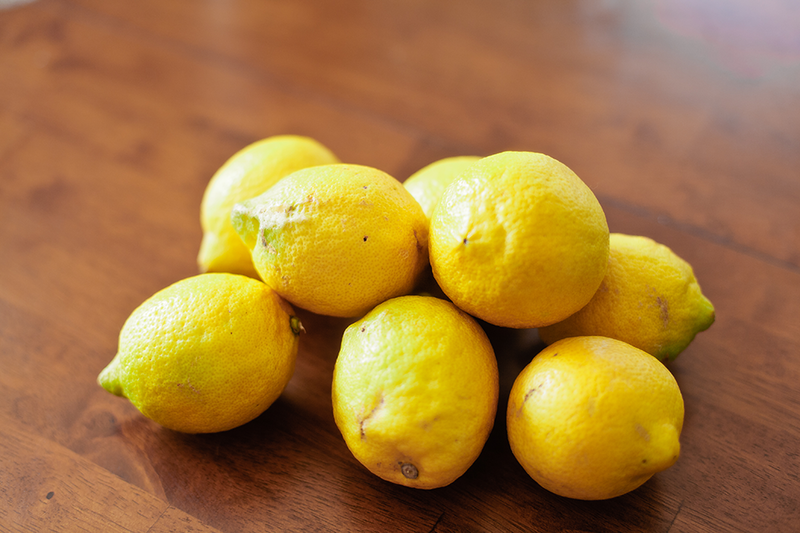 Step 3: While your organic sugar and water are boiling, start juicing your organic lemon halves. You will need a total of 1 Cup of juice. Helpful hint: Don’t worry about some seeds and pulp getting into the juice. You will strain those later! 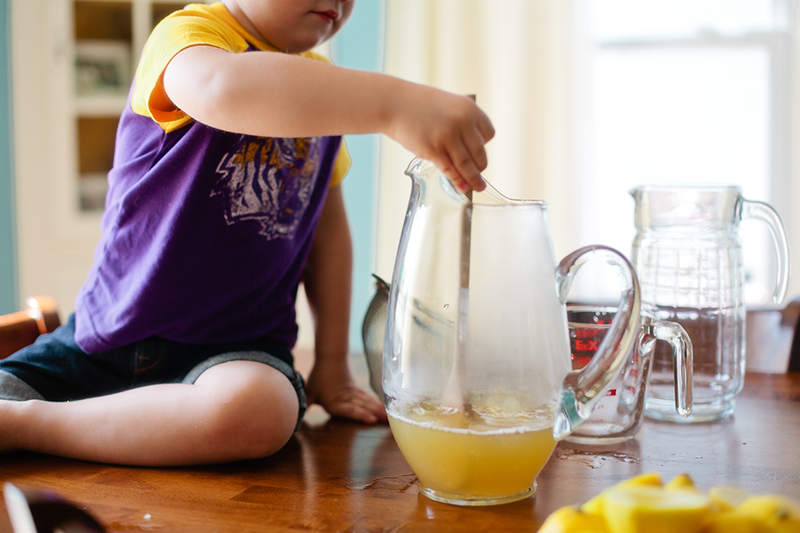 Step 4: Find a tiny helping hand to mix your organic sugar water and lemon juice together in your extra pitcher. Step 5: Add 4 Cups of water and continue to mix. 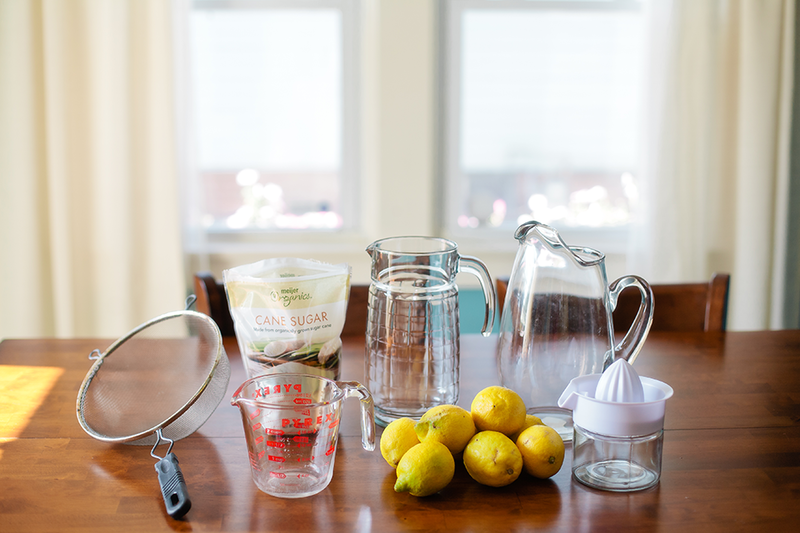 Step 6: Once mixture is fully mixed together, pour the lemonade through a handheld strainer into another pitcher. This will get rid of all those nasty seeds and pulp! 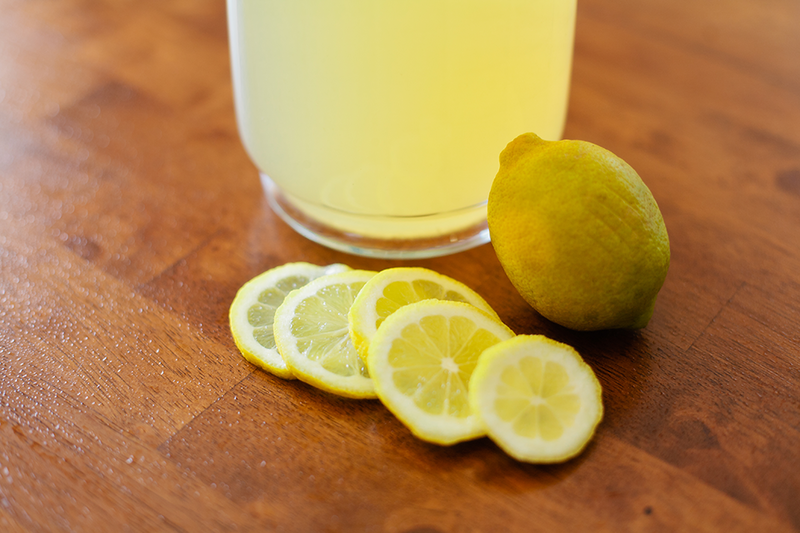 Step 7: Slice one organic lemon into thin slices and place in your lemonade. 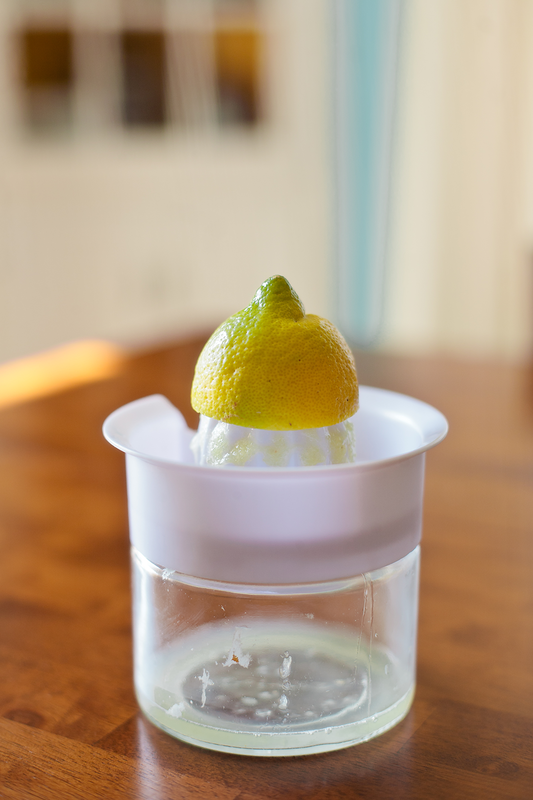 Chill lemonade for 30 Minutes. Voila! You just made homemade organic lemonade. Go you!